Peripheral neuropathy affects nearly 20 million Americans, and yet the condition has remained difficult to diagnose and treat. Although medical experts say that most cases of peripheral neuropathy can’t be cured, there are treatments that could significantly reduce symptoms. In fact, natural remedies for neuropathy symptoms are becoming increasingly popular. 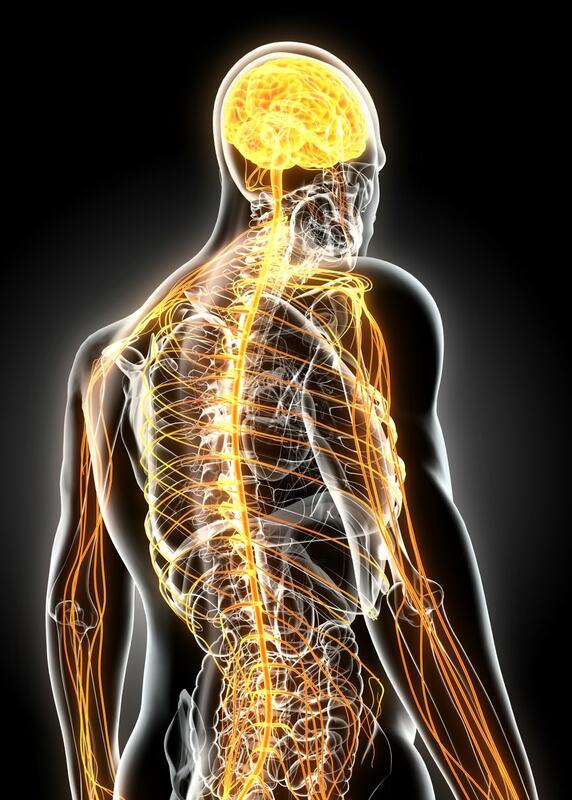 Peripheral nerves carry signals to and from your brain and spinal cord to the rest of your body. This communication system is surprisingly complex. Just to move a muscle, for example, your brain sends a signal to your spinal cord. Once the signal reaches the spinal cord, it’s picked up by a motor neuron. The neuron then sends the signal along to an axon. The axon ends where your muscle begins and the signal to flex is finally received. Some of these motor and sensory nerves can be damaged by disease, injury, nutritional deficiencies, or toxins. When this happens, peripheral neuropathy is the result. In effect, your nerves aren’t working properly and signals aren’t being sent. You may feel weak and uncoordinated. The condition usually causes tingling or numbness in the nerves, which can be accompanied by painful episodes. Because peripheral neuropathy can span the length and width of the body, it’s often misdiagnosed and treated as a symptom of another health condition. Thirty percent of all cases of peripheral neuropathy are caused by high blood sugar levels associated with diabetes. Natural treatment for peripheral neuropathy may be the solution for you. The underlying cause will often dictate the appropriate peripheral neuropathy natural treatment. There are many natural remedies for neuropathy. When diabetes is the cause, for instance, it is important to contain blood sugar. Treatment may also be recommended to help control pain and other symptoms of peripheral neuropathy. In this section, we single out six specific alternative treatments for the condition. One such alternative treatment is acupuncture. When the acupuncture needles are inserted into the body’s pressure points, this stimulates the nervous system. As a result, endorphins are released in the spine, muscles, and brain, and this helps relieve symptoms of pain and regulate the flow of qi—also called vital energy. Acupuncture will also stimulate blood flow, which restores nerve damage. There is some research demonstrating the effectiveness of acupuncture for peripheral neuropathy. In a clinical trial performed in 2012, researchers at the HanseMerkur Center for Traditional Chinese Medicine in Hamburg, Germany, tested acupuncture in six patients with chemotherapy-induced peripheral neuropathy (CIPN). This form of neuropathy often makes cancer patients reject chemo because the resulting neurological changes and pain symptoms are too severe. However, stopping chemo can put patients’ lives in jeopardy. The researchers assigned the six patients to undergo 10 weeks of acupuncture treatment, along with their regular medical care. Another five patients acted as control and received only their usual medical care. In all but one of the six patients, neuropathy symptoms improved. In the control group, only one patient showed improvement. Another study published in the European Journal of Neuropathy in 2007 found that acupuncture better improved the symptoms of neuropathic patients when compared to traditional medical care. Researchers examined 47 patients with peripheral neuropathy of unknown cause. Of the 21 patients who received acupuncture treatment, only three showed no change. At the same time, seven of the 26 patients who received conventional medical care showed no benefit from treatment. A systematic review of 25 randomized controlled trials published in the journal PLOS One in 2013 suggested that acupuncture is also an effective treatment for diabetic peripheral neuropathy. When it comes to acupuncture, there is very little risk. Some side effects may include minor pain or discomfort that goes away on its own. It is a good idea to select a qualified acupuncturist recommended by a friend who has previously experienced acupuncture. Electro-acupuncture is a type of acupuncture that will add electrical stimulation to the needles. The needles are attached to a device that generates frequent electric pulses with small clips. A similar technique called TENS (transcutaneous electrical nerve stimulation) will use electrodes that are taped to the skin rather than inserted. Several studies have shown the benefit of electrical stimulation for peripheral neuropathy. In one clinical trial, researchers at the University of Texas tested if electrical stimulation was useful in the treatment of neuropathy. Electrical stimulation involves the use of an electrical current that is applied directly to muscles or nerves. It has been used to help restore physical function in people with disabilities. However, this particular treatment was unique in that it combined voluntary breathing with electrical stimulation. The idea is that the electrical current should reach the treatment site just as a breath taken in reaches its maximum. Combining the two is thought to enhance the benefits of electrical stimulation. The procedure showed excellent clinical results. Another study published in the journal Pain Medicine in 2009 found that electrical muscle stimulation is effective for neuropathy in patients with type 2 diabetes. Other research confirms that electro-acupuncture is effective in the treatment of peripheral neuropathy. A systematic review of 11 randomized controlled trials with 837 patients, published in the Journal of Traditional Chinese Medical Sciences in 2016, found that electro-acupuncture produced better effects than other treatments for diabetic peripheral neuropathy. It is important to note that people with a history of seizures, epilepsy, strokes or heart disease, and patients with pacemakers should not use electrical stimulation. Small blood vessels get stimulated by the needles, and some reusing or bleeding may therefore occur. Exercise is another natural treatment for peripheral neuropathy. Regular exercise is able to increase blood circulation throughout the body, and specifically in the legs and arms. The increased circulation can help restore nerve damage and lower neuropathic pain. A clinical trial tried to determine which was better for the management of peripheral neuropathy: weight bearing exercise or non-weight bearing exercise. This study, conducted at Washington University School of Medicine, consisted of two interventions. Patients with diabetic peripheral neuropathy were assigned to perform strengthening and aerobic exercises sitting or standing and walking (the weight-bearing portion of the study). The weight-bearing group performed better in a six-minute walk test and an average daily step test. Exercise doesn’t necessarily need to include weight lifting at the gym. It can also involve walking, running, hiking, swimming, doing yard work, playing a sport, or practicing a meditative exercise called tai chi. You will see the most benefit when you perform any exercise for at least 30 minutes per day. In research, the most common benefit of exercise has been its positive effect on neuropathic pain. Rodent studies have also found that aerobic exercise delays diabetic pain and reduces nerve-related pain. The research also finds that exercise can increase the ability to perceive vibrations, and tai chi can particularly improve balance. A study by Louisiana State University researchers also found that elderly peripheral neuropathy patients practicing tai chi up to three times per week showed greater levels of improvement than those doing more traditional treatment methods. Cold therapy is also known as cryotherapy. This treatment works to reduce blood flow to a particular area, and this can significantly reduce swelling and inflammation that cause pain. This treatment also temporarily decreases nerve activity, which can relieve pain as well. There are a number of ways to induce cold therapy, including ice baths, ice massage, whole-body cold therapy chambers, or simple ice or frozen gel packs. Cold therapy can be used for short periods several times daily. In general, no more than 20 minutes of cold therapy should be used during one session, which will prevent damage to skin, nerves, and tissue. A study published in the Journal of the National Cancer Institute in 2017 found cryotherapy useful for preventing neuropathy symptoms such as numbness, pain, and tingling. Such symptoms reduce quality of life and often lead to reducing the dosage, delaying treatment, or stopping chemotherapy treatment altogether. For the study, chemotherapy patients wore frozen gloves and socks for 90-minute periods. Cannabis sativa—also called marijuana—is a plant that has been used for thousands of years to treat various health conditions, including those related to stress, pain, and neurodegenerative disorders. Concerns about the dangers of marijuana abuse led to the banning of cannabis compounds in many countries for several years; however, they are once again being considered for their therapeutic value. A randomized, double-blind study published in The Journal of Pain in 2015 found that inhaling cannabis can ease diabetic peripheral neuropathy pain, and the effect is dependent on the dose. For the study, University of California San Diego researchers evaluated the effectiveness and tolerability of inhaled cannabis in the treatment of pain related to diabetic peripheral neuropathy. Patients were exposed to a placebo or three different doses of aerosol 1% THC (delta-9-tetrahydrocannabinol)—the most abundant psychoactive compound found in cannabis. Magnesium phosphoricum: This is one of the better homeopathic remedies for severe nerve pain, and it’s helpful when pressure or warm applications typically help the patient. Pain is almost unbearable and can be cutting, shooting, or stitching. Belladonna: It is useful for nerve pain in the hips and thighs that suddenly appears in short attacks, which also disappear quickly. Noise or touch will worsen pain. Aconite: It is used for shooting or burning nerve pain that appears from sudden exposure to cold winds. The person also experiences restlessness, mental anxiety, and an increased thirst for cold water. Hypericum: This is a key remedy when tingling and burning pains in the nerves are present. At times, there may also be numbness. Hypericum is also best for nerve pain after an injury or trauma. Nerve pain may also be experienced in the toes or fingers after an injury caused by needles or nails. Chamomilla: This is a beneficial remedy for those with unbearable nerve pain, which is accompanied by violent anger and irritability. Kalmia: Kalmia is one of the better remedies for shooting nerve pain when numbness is present. It is common for nerve pain to shoot downward. Other homeopathic remedies for neuropathy include spigelia, Paris quadrifolia, causticum, Bryonia alba, Ranunculus bulbosus, Arsenic album, and many more. A professionally trained homeopath will determine the right remedy for you. What else can you do for peripheral neuropathy? There are several other natural treatments and remedies for neuropathy that we will detail in this section. Diabetic peripheral neuropathy is more common in diabetics who don’t have their blood sugar under control. The best way to control blood sugar is through the diet with lower glycemic index (GI) and glycemic load (GL) foods. This diet type will be high in fibrous vegetables and raw foods. A low-GI diet will include food with a glycemic index of 55 or less, while a low-GL diet contains foods with a GL of 10 or less. Excessive alcohol consumption can lead to peripheral neuropathy. This may be due to poisoned nerves from alcohol and poor nutrition. About half of people with alcohol addiction may develop nerve damage over time. Continued alcohol consumption can worsen nerve damage. Counseling such as cognitive behavioral therapy can help conquer alcoholism. Smoking affects blood circulation, and as blood vessels narrow, less oxygenated blood will get through. As a result, you may experience increased pain and numbness due to peripheral neuropathy. Quitting smoking can help improve your symptoms. Techniques to help you quit include hypnosis, lime juice, guided imagery, and meditation. The capsaicin in cayenne pepper has been used in topical creams and ointments for pain relief. Adding cayenne pepper to the diet or taking capsaicin supplements can help decrease neuropathy pain. A topical capsaicin ointment can also reduce the sensation of neuropathy. Since capsaicin can irritate the skin, use very little until you can tolerate it. Alpha-lipoic acid (ALA) is an antioxidant that’s been found to ease symptoms of diabetic peripheral neuropathy and help regulate blood sugar. In addition to supplements, you can also find ALA in red meat and liver. ALA in supplement form is not recommended for people with a vitamin B1 deficiency. Evening primrose oil contains linoleic acid (LA) and gamma-linolenic acid (GLA), which can benefit people with diabetic peripheral neuropathy. One study found that patients taking 360 milligrams (mg) of GLA for six months had a significant improvement in neuropathy symptoms. Evening primrose oil is not recommended for those with blood or seizure disorders, and should be taken under guidance of the healthcare practitioner. A deficiency in vitamin B12 can lead to peripheral neuropathy and significant nerve damage. Yet studies show that people with diabetic neuropathy can improve symptoms like numbness, pain, and tingling sensations when taking vitamin B12 to correct a deficiency. Vitamins like vitamin D can also prevent nerve pain, while a vitamin D deficiency can cause neuropathy pain. You can supplement each vitamin, or you can find them in foods like eggs, cod, or shrimp. A massage can also help relieve peripheral neuropathy symptoms. One study found that massage therapy helped relieve pain, tingling, and numbness in a patient with peripheral neuropathy due to chemotherapy. Massage is thought to be beneficial in those with peripheral neuropathy due to its ability to improve blood circulation. Certain essential oils are able to increase circulation in the body, and chamomile, lavender, and neroli oils are among them. These oils may ease pain in those with peripheral neuropathy as a result of improved blood flow. Inhale these oils in a diffuser or dilute a few drops of one of these oils in a carrier oil like jojoba oil, and apply it to your affected area. This can then decrease tingling and stinging pains caused by peripheral neuropathy. Another natural treatment for peripheral neuropathy is meditation. It can improve your coping skills, reduce stress, and lower the intensity of your pain. As a result, you may have better control over your very painful condition. A warm bath can also alleviate peripheral neuropathy symptoms. The warm water will increase blood circulation in the body, which then reduces your symptoms. However, make sure your bath is not too hot, especially if your sensory nerves are affected and you’re not sensitive to the temperature. Peripheral neuropathy occurs when nerves in the nervous system are damaged or destroyed. Although the condition can be very painful, a peripheral neuropathy natural treatment can be quite helpful for relieving your symptoms. Natural treatment for peripheral neuropathy includes acupuncture, electrical stimulation, regular exercise, cold therapy, inhaling cannabis, and homeopathy. Other natural remedies for neuropathy include controlling blood sugar; avoiding alcohol; quitting smoking; taking up meditation, massage therapy, or warm baths; and supplementing with capsaicin, alpha-lipoic acid, evening primrose oil, vitamin B12, vitamin D, and essential oils. Although these remedies and treatments can help, be sure to consult your doctor or natural health practitioner before beginning any new treatment for your peripheral neuropathy. Schroeder, S., et al., “Acupuncture for chemotherapy-induced peripheral neuropathy (CIPN): a pilot study using neurography,” Acupunct Med. March 2012; 30(1): 4-7. Li, S., et al., “Breathing-controlled Electrical Stimulation (BreEStim) for management of neuropathic pain and spasticity,” J Vis Exp. January 10, 2013; (71): e50077. Mueller, M.J., et al., “Weight-bearing versus nonweight-bearing exercise for persons with diabetes and peripheral neuropathy: a randomized controlled trial,” Arch Phys Med Rehabil. May 2013; 94(5): 829-38. Dimitrova, A., et al., “Acupuncture for the Treatment of Peripheral Neuropathy: A Systematic Review and Meta-Analysis,” Journal of Alternative and Complementary Medicine, March 2017; 23(3): 164-179, doi: 1089/acm.2016.0155. Humpert, P., et al., “External electric muscle stimulation improves burning sensations and sleeping disturbances in patients with type 2 diabetes and symptomatic neuropathy,” Pain Medicine, March 2009; 10(2): 413-419, doi: 10.1111/j.1526-4637.2008.00557.x. Cowan, B., “Electroacupuncture in the Treatment of Peripheral Neuropathy,” Medical Acupuncture, June 2010; 22(2), doi: 10.1089/acu.2010.0741. Xiong, W., et al., “Electroacupuncture for treatment of diabetic peripheral neuropathy: A systematic review of randomized controlled trials,” Journal of Traditional Chinese Medical Sciences, Jan. 2016; 3(1): 9-21, doi: 10.1016/j.jtcms.2016.06.002. Dobson, J., et al., “Benefits of exercise intervention in reducing neuropathic pain,” Frontiers in Cellular Neuroscience, April 2014; 8: 102, doi: 10.3389/fncel.2014.00102. Hanai, A., et al., “Effects of Cryotherapy on Objective and Subjective Symptoms of Paclitaxel-Induced Neuropathy: Prospective Self-Controlled Trial,” Journal of the National Cancer Institute, Feb., 2018; 110(2): 141-148, doi: 10.1093/jnci/djx178. “Inhaled Cannabis Shown Effective for Diabetic Neuropathy Pain,” American Pain Society, July 20, 2015; http://americanpainsociety.org/about-us/press-room/inhaled-cannabis-shown-effective-for-diabetic-neuropathy-pain, last accessed July 16, 2018 . Wallace, M., et al., “Efficacy of Inhaled Cannabis on Painful Diabetic Neuropathy,” The Journal of Pain, July 2015; 16(7): 616-627, doi: 10.1016/j.jpain.2015.03.008.